Procter & Gamble takes United Way Over the Top! On Tuesday morning, an ethusiastic Procter & Gamble United Way committee revealed the final total from its workplace campaign. Their contribution of a record-breaking $250,000 was enough to take United Way past its 2011 goal of $995,000 and over $1,000,000. P&G’s campaign runs year-round, with many special events throughout the year to raise funds. 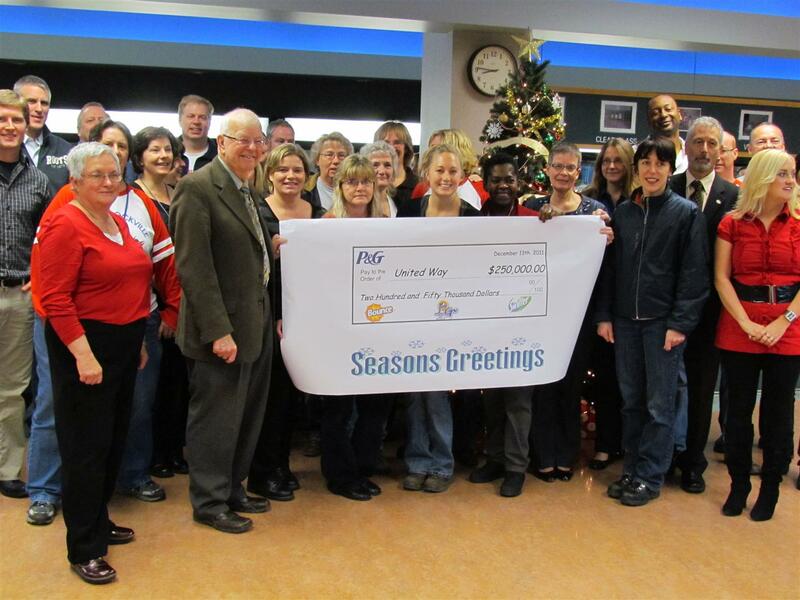 That, together with strong employee giving and a generous corporate donation, brought the Brockville plant to its highest United Way total yet.